This material used in the making of this piece was collected from a neighborhood of single-story, single family homes in the heart of San Jose's southern sprawl. 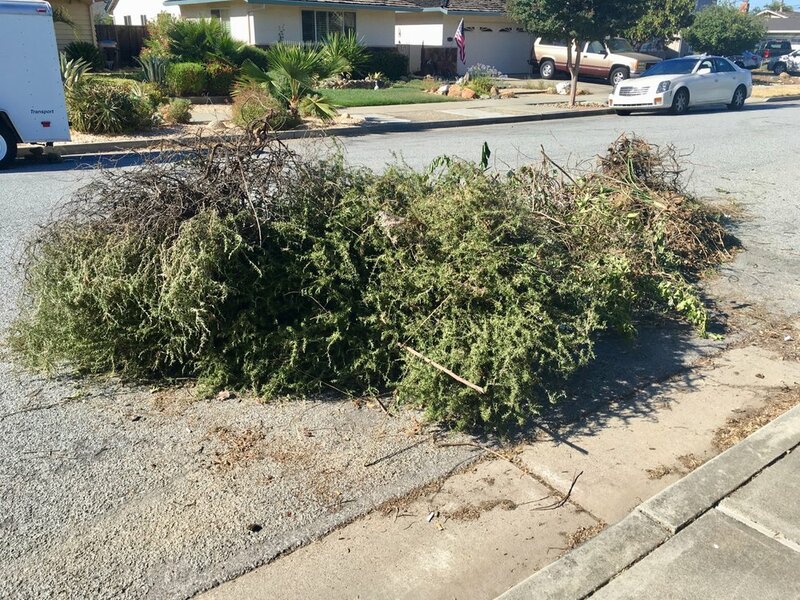 The pile of yard waste held bits of palm and other clippings, but it was mainly a huge, old Rosemary bush. The herb was fragrant on the hot, sunny day I collected it. I could see that the home owners had removed the bush to make way for some kind of work the house, or maybe a remodel of some kind. There was no one else around.